Prince Turki al-Faisal, the person who as chief of Saudi intelligence ran bin Laden's network and who was until recently the Kingdom's ambasador to Washington, has a problem with America's pursuit of energy independence. "It has become very fashionable for (U.S.) politicians to use the word 'energy independence' or 'independence from foreign oil', and that is basically a political canard politicians and technocrats use," he said in a recent economic forum. "There is no way that people, whether in the United States or in the world, other countries that consume oil, would simply give up using oil in the next few decades at least, if not more than that," he said. This is in essence the Saudi wishful thinking. After all if we stop using oil fo transportation and instead we use coal or biomass based fuels or even electricity made from coal, nuclear power or wind energy what will the Saudis sell? The Kingdom's export revenues are almost exclusively oil and gas. Without oil the oil Shiekhs are headed right back to the pre-industrial world: no private jets, no palaces, no luxury suits. But the reality is that the U.S. could make a major shift from oil by adopting the kind of energy policy suggested by groups like the Set America Free Coalition. If it does the Saudi proverb: "my grandfather rode a camel, I drove a car, my son flies a plane and my grandson will ride a camel" could become a fulfilled prophecy. Boy oh boy, John Edwards needs a major reality check. A Washington Post article The Demise of Foreign Correspondent is worth reading if one wants to better understand the mainstream media's failure to bring us a clear picture of what's happening abroad. It appears that as their profits are falling media companies are forced to close offices abroad and less and less American journalists work overseas. "Only four U.S. papers -- the Journal, the Los Angeles Times, the New York Times and The Washington Post -- still keep a stable of foreign correspondents." TV is doing even worse: "In the 1980s, American TV networks each maintained about 15 foreign bureaus; today they have six or fewer. ABC has shut down its offices in Moscow, Paris and Tokyo; NBC closed bureaus in Beijing, Cairo and Johannesburg. Aside from a one-person ABC bureau in Nairobi, there are no network bureaus left at all in Africa, India or South America -- regions that are home to more than 2 billion people." One place MSM hasn't given up on is Israel where foreign correspondents are still abundant. The result: news is being covered where journalists happen to reside, not where things actually happen. Which is why ad nausea coverage of Israeli affairs often gives one the impression that, other than Iraq, it is the only place in the Middle East. Indeed, over the years western media's interest in the Arab-Israeli conflict has reached a level of obsession. Jerusalem and Tel Aviv are havens for journalists. Lazy reporters prefer to turn a stone in Tel Aviv in order to find an idiotic and utterly unimportant "story" to file rather than drag themselves across the border to places where important stuff actually happens. The unintended consequence of the disproportion between the importance of the story and the volume of coverage it gets is that the public's judgment and ability to dedicate sufficient resources to other, no less challenging, parts of the world are compromised. When Lee Williams saw a parent-and-toddler session advertised at his local pool, he thought it was the perfect chance to teach his young daughter to swim. Arriving at the leisure centre already in her swimming costume, two-year-old Darby was desperate to get into the water. But she was left in tears when staff said they were not allowed in the pool because the session was for Muslim women and their children only. [...]The incident happened at Abraham Moss Leisure Centre in Crumpsall. Mr Williams, a delivery driver from Blackley, had seen the parent-and-toddler session being promoted on the council's website and a leaflet. [...]In December last year, Croydon Council in South London came under fire for running Muslim-only sessions at one of its leisure centres. Non-Muslim members of Thornton Heath leisure centre were angry that they could not swim during the Muslim-only sessions on Saturdays and Sundays unless they obeyed the strict dress code. [...]Similarly, Wolverhampton Council and South Lanarkshire local authority have also been criticised for operating women- only swimming for Muslims. Hezbollah held its main [Ashura] ceremonies in Al Dahiya, a southern suburb of Beirut. Bloodletting wasn't on the agenda, but violence was. "Do you want to suffer with Hussein? Then the setting is ready: the Karbala of the South," Fadlallah said in one of his Ashura polemics, encouraging listeners to martyr themselves fighting Israel. "You can be wounded and inflict wounds, kill and be killed, and feel ... the spiritual joy of Hussein when he accepted his own blood and wounds." [...]Hezbollah is trying to recast Ashura to serve its political agenda--and to focus Muslim anger on Hezbollah's political targets (mainly Israelis and Americans). Though blood is usually associated with violence, the self-flagellation traditionally practiced on Ashura actually encourages political quietism; it directs violence inward, in contrast with the activist attitude cultivated by Hezbollah. "Self-flagellation doesn't serve a revolutionary, radical purpose," says Amal Saad-Ghorayeb, an expert on Hezbollah. "You are beating yourself rather than your enemy." [...]many Ashura mourners in Nabatiyya explicitly rejected any contemporary political resonance for Ashura. "This is the only thing we have left that has not been used by politicians," said one participant from Nabatiyya. "We sacrifice our blood to honor the memory of Imam Hussein, not to further their agendas." [...]Hezbollah's attempt to recast the Ashura rite is a way of consolidating its control of Lebanese Shia. [...]as squeamish as Western audiences might be when confronted with the bloody images of Ashura, they may have more in common with Nabitiyyans [who ignored Hizb'Allah's edict] than initially meets the eye. As one blood-covered Ashura participant proclaimed defiantly, "Who said Hezbollah can tell us what to do?" Yemen's president ordered a crackdown against rebels two weeks ago, accusing them of trying to oust his government and impose Shia religious law. Car bomb blew up near a bus killing 18 members of Iran's Revolutionary Guards (Shia, of course). The Sunni group Jund'Allah (soldiers of Allah), led by Abdul-Malik Rigi, a Balochi separatist group which has carried out previous attacks against the Mullahs regime, has claimed responsibility. Gateway Pundit has the details on this attack. 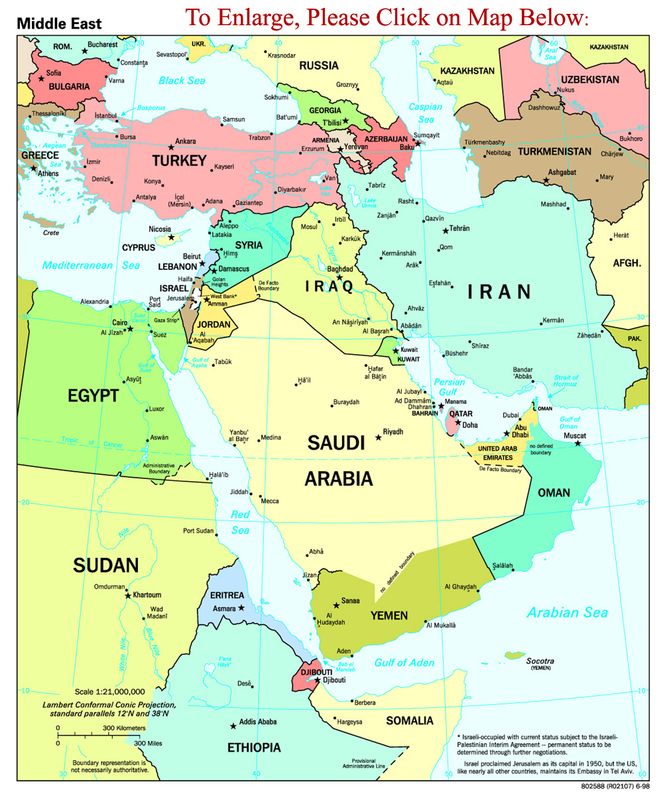 Click here for more info on Jund'Allah and on the Iranian Balochistan, a majority Sunni region in Shia Iran. The incident confirms [the mullahs] fears that they now have enemies that can use precisely their own tactics against them. Car bombs, fake uniforms and suicide attacks were introduced to the Middle East by Khomeinists first in Iran under the Shah and later in Lebanon, Kuwait, Saudi Arabia, Turkey and as far away as Argentina by branches of Hezbollah. In the past three years, groups allied to Tehran have used the tactics against the new regimes in Afghanistan and Iraq. Iran's Baluch community, more than 2 million souls, is part of a 20 million-strong nation spread across Pakistan, Afghanistan, Oman and the Persian Gulf states. As Sunni Muslims, the Baluchi feel shut out of Iranian life that, since 1979, has been dominated by Shiite clerics. Under the Khomeinist constitution, no Sunni can run for president, let alone the office of "Supreme Guide." There are no Sunni Cabinet ministers, provincial governors, ambassadors, high court judges or directors of public corporations. Sunnis are not allowed to have their own schools and mosques outside areas where they form a majority. 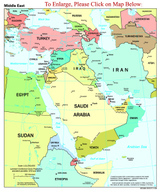 Sunnis account for almost 12 percent of Iran's population of 70 million. The largest number is ethnic Kurds, about 4 million, followed by the Baluch, some 2 million, and the Turkoman, who number 1.8 million in the northeast. Sunnis also are in a majority in Talesh, on the Caspian Sea, and in parts of the coastline on the Persian Gulf. The capital, Tehran, is home to some 2 million Sunnis, who are, nevertheless, denied the right to have a mosque of their own. The mullahs have rewritten all textbooks to reflect only the Khomeinist brand of Shiite Islamic theology, history and rituals. The registrar of birth does not allow newborn babies to be given typically Sunni names. Under President Muhammad Khatami, a mid-ranking mullah, repression against Sunnis intensified. The only Sunni mosque in Mashad, the Iranian main " holy" city, was burned to the ground. Efforts to rebuild it have been blocked by the government since 2000. The Khatami presidency also witnessed the assassination of dozens of Sunni clerics in mysterious circumstances. Since 1979, Iran has witnessed countless Sunni revolts, often crushed by force. But the Khomeinist regime has fomented sectarianism in Islam for more than a quarter of a century by inciting Shiite minorities against Sunni regimes in Pakistan, Afghanistan, Saudi Arabia, Bahrain and Kuwait, among others. It is using Hezbollah to provoke a sectarian war in Lebanon. In Iraq, the Khomeinist regime is arming Shiite militias to attack the U.S.-led multinational force and undermine the new democratic regime. The dramatic attack in Zahedan has shown that sectarianism is a game that others, too, can play. The full report will come out later this month. The Washington Post's Anthony Shadid checks the pulse of the Arab world regarding the rise of the Shia quoting an Egyptian market dweller called Muhsin Mohammed. "There's a proverb that says, 'Divide and conquer,' " Mohammed said. "Sunnis and Shiites -- they're not both Muslims? What divides them? Who wants to divide them? In whose interest is it to divide them?" he asked. "It's in the West's interest," he answered. "And at the head of it is America and Israel." We are not foreign to Arab conspiracies. If the Jews can be blamed for self-inflicting the Holocaust to get themselves a state who could blame them for provoking the Su-Shi war? On the other hand, it is a well known fact that the schism between Sunnis and Shiites dates to the 7th century, hundreds of years before George Washington, Benjamin Franklin and David Ben Gurion were even on the drawing board. We don't know if we would shed tears if the Su-Shis end up going at each other. The last time they did, during the Iran-Iraq War in the 1980s, it was quite a breather. But hey, don't blame it on us. This family fued is about the decendents of Muhammad's daughter, Fatima, and son-in-law, Ali, not about the decendents of Washington and Ben Gurion. Leaders of Sunni Arab states are not only going nuclear but also seem to be embarking on a military spending spree in an attempt to contain Iran. The combination of high oil prices and growing fear of the Persian expansion has led to the current arms craze. The Washington Times quotes Tim Ripley, the Middle East analyst with Jane's Defense Weekly, who said: "The Gulf states have a shopping list of arms worth more than $60 billion if all the deals under discussion eventually go through." Wait. $60 billion is also the amount of money the U.S. pays every year for its oil imports from the Middle East. So for every petrodollar we send to the Gulf we get one dollar back right into the coffers of our defense contractors (most of the weapons are made-in USA). Not a bad deal.